memphis. my beloved memphis has a fashion week. this year marks the second annual memphis fashion week! proceeds from memphis fashion week benefit arts memphis. judging by night 1, they should be very proud. and i feel lucky to be covering this event. that awkward moment when you wear your waverly shirt on the wrong night. 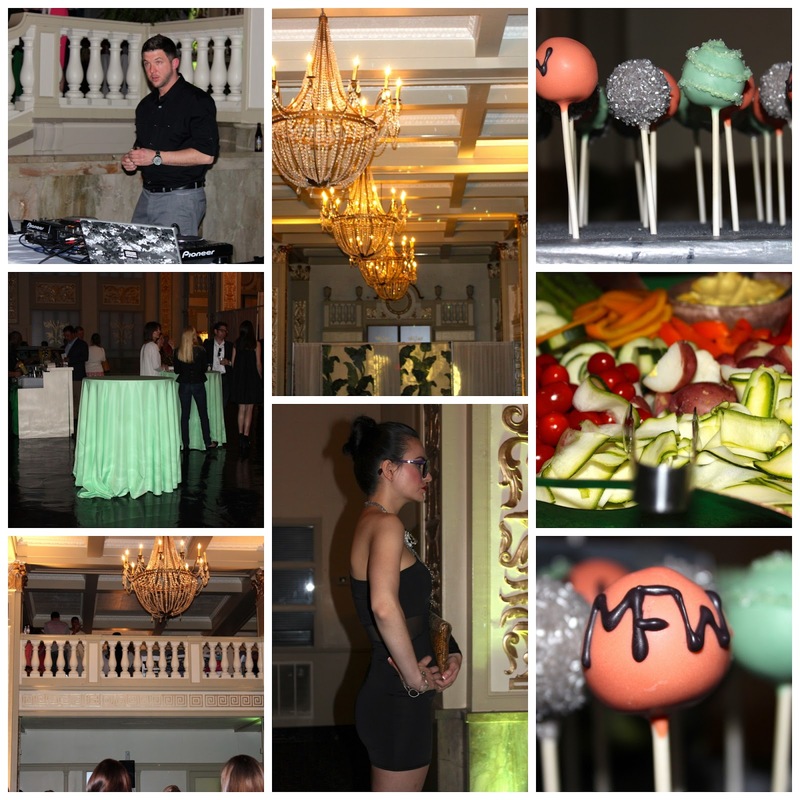 the works: live models, cake pops, veggies, chandeliers...it was nice. essentially what happened is this: aspiring designers were able to submit sketches. they were provided mood boards, color schemes, and 14 designeres were chosen. they were given mentors and seamstresses to create looks to show at memphis fashion week. how amazing! there were 34 looks total, and they were so great! i was somewhat surprised to see men modeling vince, but it was really sharp! 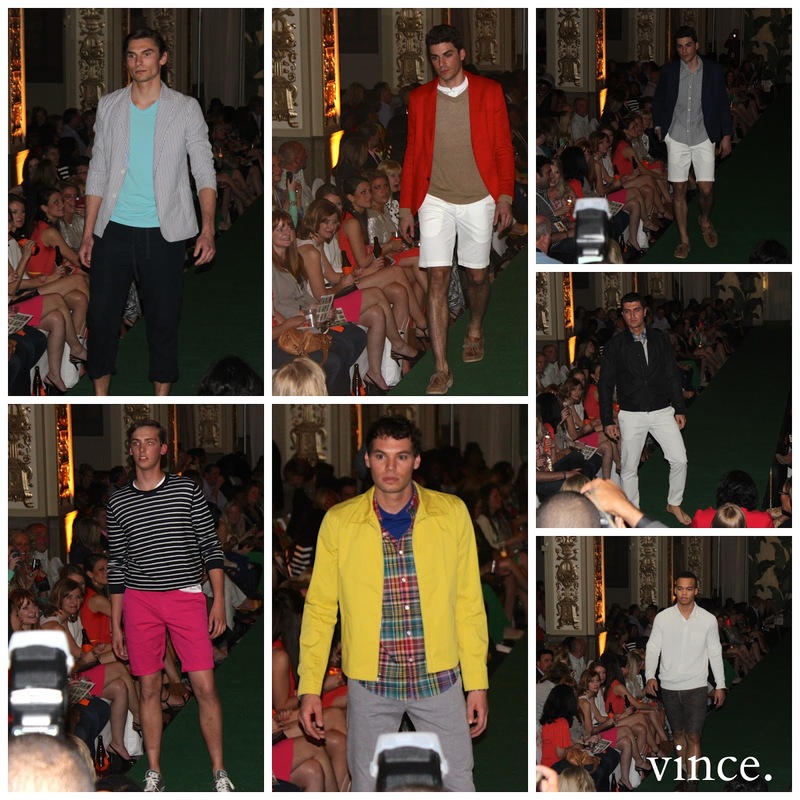 i die for vince's cashmere pieces. hilton hollis has some really fun dresses and feminine pieces. the colorful dress in the middle of the collage was a really striking look. ever since i bought my annie griffin easter dress (seen here), i have been excited to see this show! my favorite was the red, white, and blue striped dress in the top right. every piece makes me want to go on a cruise or tropical vacay. meeting amanda of the sequined spaniel. i met amanda early into the evening. she is a fashion blogger who lives in memphis! it is a small world, indeed! you have to check out her blog! 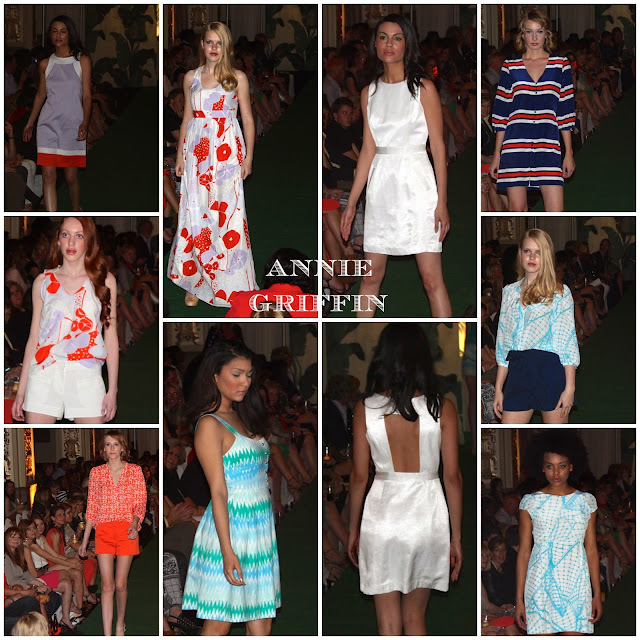 Labels: annie griffin, blog events, hilton hollis, memphis, memphis fashion week, vince. Wow! amazing fashion event. I can see the matchless and adorable apparel.